Summer is here, so it’s time to put your air conditioner to the test. With regular maintenance and repairs, a young AC is more than capable of lasting the summer without a breakdown. If not, you might run into some problems. Your AC relies on each component working in excellent condition. If one piece fails, trouble is on the way. Below are some of the most common issues plaguing air conditioners. 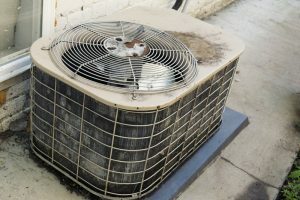 If left unnoticed, they can cause increased energy bills and eventual breakdowns, so be sure to call for air conditioning repair in Whittier, CA. Your evaporator coils are found in your indoor unit. They’re responsible for lowering the temperature of the refrigerant that runs through your AC. So, naturally, a frosty and icy evaporator coil is a good sign, right? Wrong! All that ice will only block the precious cold air from dispersing throughout your home. Frozen evaporator coils can be the result of refrigerant leaks, so don’t hesitate to call and find out. As for the outdoor unit, you have the condenser coils. Simply put, its job is the opposite of the evaporator coil’s, releasing the heat that it gathers from your home. But what if this coil is covered in dirt? The heat won’t be able to properly disperse, keeping that heat inside. If the coil acts in this way for too long, lead to an early AC breakdown. It’s not so uncommon for outdoor units to collect more dirt and dust than the indoor unit, so be sure to have it inspected. This one is so simple, it’s not surprising that people forget about it. No one should have to endure the frustration of breaking their AC due to something as simple as the air filter, so please be sure to check it once a month. The air filter’s job is to protect the AC from dirt and dust. The filter blocks any of these contaminants from entering the system, thus protecting the coils and sensitive components from collecting dirt. When full, the filter will no longer be able to transfer clean air. The refrigerant is the blood of your AC, continually pumping through your system and transferring hot and cold air. And like blood, you’re not supposed to replace it or lose any. Under ideal conditions, your AC will use the same charge of refrigerant for years and years. That’s why a refrigerant leak is so harmful to your system. Pinhole leaks can drain the refrigerant overtime, offsetting the balance and forcing your AC to work with less refrigerant. Your unit has two fans, one for the outdoor unit and one for the indoor unit. They both perform a similar function: blowing away the air that collects at the coils. The outdoor unit blows hot air outside to prevent overheating. Your indoor fan blows cool air into your home. When either of these fans break, the air around those coils will cause overheating or freezing. Never think about air conditioning issues again with a maintenance plan. Contact Green Leaf Heating & Cooling today to get started.